Andrea Catherwood looks at how to power-dress to be cool at work in the heat, and what changes to child maintenance will mean for lone parents. 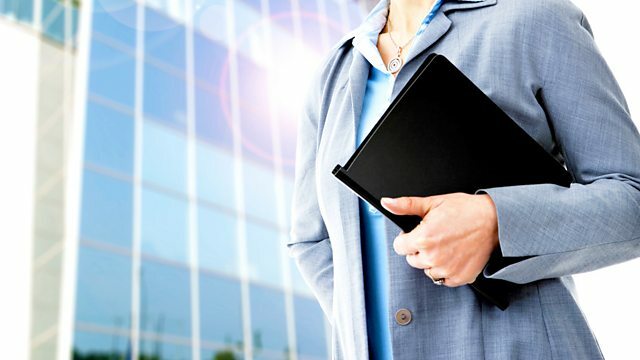 Woman's Hour Powerlisters have been giving advice about how to be a powerful woman, but the recent heat wave has produced a new challenge - how to dress for work and not look like you're heading to the beach. Fashion writer Camilla Morton and business woman Jasmine Montgomery discuss. Recent statistics show a decline in the number of women having abortions, though in South Asian communities, the number appears to be rising. What lies behind the increase and is more support needed? A new scheme to help lone parents get child maintenance from an absent parent will be extended today. We talk to Work and Pensions Minister Steve Webb and discuss whether the changes will help more parents reach arrangements privately, without involving the state. For women subjected to female genital mutilation as children, some hope has been offered through reconstructive surgery which aims to restore clitoral sensation. We hear from a surgeon performing the procedure in Britain, and from an expert on FGM. What lies behind AN increase in abortions in South Asian communities in the UK? The new Child Maintenance Service which charges single parents if they ask for state help is being extended today. The service replaces the CSA as part of the coalition welfare reforms. The new service has been trialled with separated parents with four children or more, and from today it is available to parents with two children. In an attempt to discourage parents from relying on the state, single mothers with be charged an upfront fee of £20, and there will be further maintenance fees if the separated parents ask the CMS to help them collect money from an absent parent. Woman’s Hour speaks to single mother Sarah, Steve Webb, Work and Pensions Minister responsible for child maintenance, and to Caroline Davey, Policy Director for Gingerbread - a charity for single-parents. For women subjected to female genital mutilation as children, some hope has been offered through reconstructive surgery which aims to restore clitoral sensation. One surgeon in Spain has been performing the procedure free of charge. Woman's Hour hears from 22 year old Jasmine who, circumcised at 5 years old, had a clitoroplasty a year ago. To discuss the issues around this reconstruction, guest presenter Andrea Catherwood is joined by Mr Kamal Iskander, a Consultant Obstetrician Gynaecologist and Lead for Female Genital Mutilation for North West London NHS Trust, and by Efua Dorkenoo, Advocacy Director of the FGM programme for Equality Now. It may be weather for the beach but most of us are spending these hot, sweaty days cooped up at work, and maybe going to meetings and meeting clients – the show must go on! So how does one power dress in a heat wave? We’ll be asking fashion writer Camilla Morton for her top tips, and as we’re talking power dressing, we’ve invited the very powerful Jasmine Montgomery, CEO of Seven Brands Advertising, to join us too. Recent Department Of Health statistics show that although the number of women having abortions in the UK is falling, among South Asian communities the figure is rising. What lies behind the increase in numbers and what more support should be offered? One British Pakistani woman talks about her experiences, and Tracey McNeill from Marie Stopes International and Shabnam Mahmood from the BBC Asian Network join Andrea Catherwood in the studio.